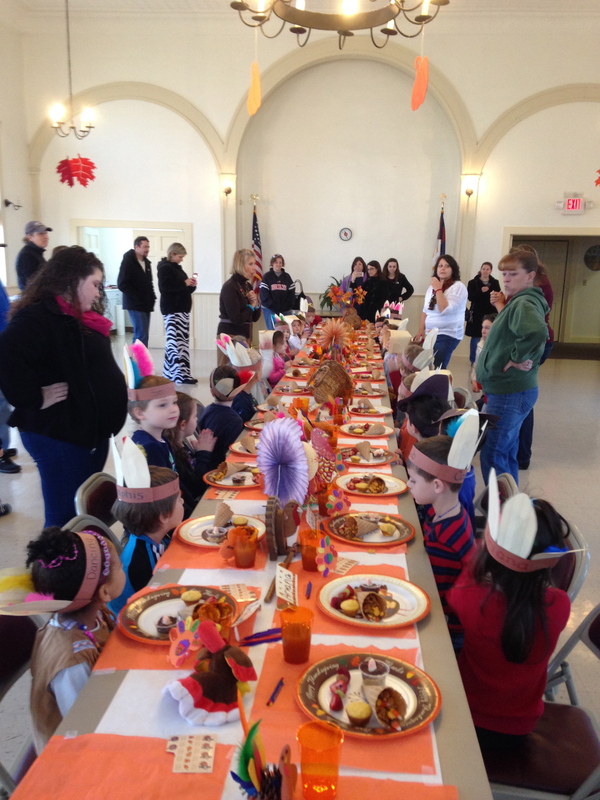 This year we celebrated our first Thanksgiving Feast with Orange Presbyterian Weekday School. 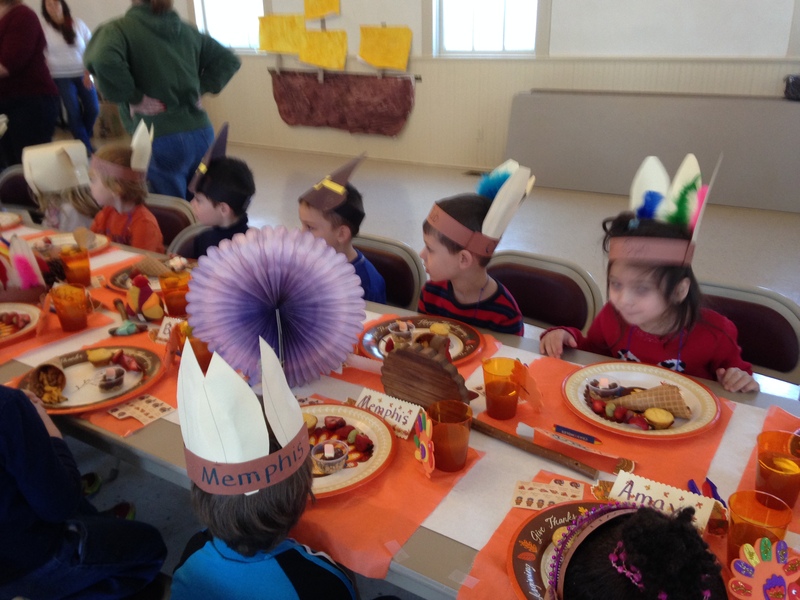 Our St. Thomas preschoolers represented the pilgrims and Orange Presbyterian’s students were the Native Americans. What fun to see all the of the children together at one big table!